Euthanasia and futile care: further Orthodox Christian commentary by physicians, scholars, etc. H. Tristram Engelhardt, Jr. “Physician-Assisted Suicide and Euthanasia: Another Battle in the Culture Wars.” Physician-Assisted Suicide, eds. Loretta Kopelman and Kenneth De Ville: 29-41. H.T. Engelhardt, Jr. “Physician-Assisted Suicide Reconsidered.” Christian Bioethics, 4 (1998) : 143-167. H. Tristram Engelhardt, Jr. “Redefining Death: The Mirage of Consensus.” The Definition of Death (1999) : 319-331. H. Tristram Engelhardt, Jr. “From Abortion to Euthanasia: Rethinking the Value of Life at the End of the Christian Age .” Life-The Human Being Between Life and Death (2000) : 195-207. This unnamed blogger, most surely an Orthodox Christian, provides a concise post with Some links with info on the Terri Schiavo case: http://perennialrambler.blogspot.com/2005/03/some-links-with-info-on-terri-schiavo.html An expose of the horror and injustice of her tragic manner of death. This is the last of the 4 posts which have been meant to be Orthodox Christian resources toward the discernment of a stance on futile care. My prayer is that our God-loving Hierarchs and Spiritual Fathers, together with all Orthodox Christians of true worship, will be granted the wisdom to discern these matters with Light from above, as the issues come before us in a personal way, as they surely will. Most of these comments, though not all, are responses to Terri Shiavo’s ordeal. Our Parish priests tend the flock of God, and continually respond to the concrete situations and dilemnas of those in their charge; they are therefore skilled in the practice of applying the Orthodox Christian Way in daily life. Fr. Anthony contrasts “scientific definitions and legal decisions” with life according to spiritual intuition and the perspective from faith in Christ’s resurrection. Terri should have been given into the care of those who loved her, he laments. Fr. David also begins the first of these two homilies with the Truth of the conquest of death through the death and resurrection of Christ, by which we are saved by faith. He also speaks of the U.S. Supreme Court and the culture of death. He concludes the second homily with reflections on Terri Schiavo and the Judgment of Christ (Matthew 25;31-46) in which how one treats “the least of these My brethren” will determine one’s destiny. In strong terms, Fr. Johannnes decries the treatment of Terri Schiavo, which ultimately concluded with the removal of her feeding tubes and death by dehydration in 13 days. The culture of life and that of death are at war. See also Father John’s books, The Sacred Gift of Life: Orthodox Christianity and Bioethics. Crestwood: St Vladimir’s Seminary Press, 1999, & Stages on Life’s Way: Orthodox Thinking on Bioethics (with Lynn Breck). Crestwood: St Vladimir’s Seminary Press, 2006. The next post will bring forth more commentary on these issues from medical, scholarly, and other sources. Featured will be the work of Orthodox bioethicist Dr. H. Tristam Engelhardt. The Orthodox Church will need to take a stance on “futile care” as the Antiochian North American Archdiocese has on Euthanasia. The tragic Terri Schiavo saga received some Orthodox Christian commentary by our Hierarchs. According to U.S. laws, Terri was not euthanized; nor, I believe, were futile care laws applied to her. But the narrow frame of reference of U.S. or Florida law in this matter simply does not do justice to her situation and her ordeal. No matter what definition into which the law puts the removal of her feeding tubes to evade the charge of putting her to death, it was clear to those responsible for the decision that to do so would yield that outcome. Therefore these comments concerning Terri Schiavo contribute toward a further elaboration of our Orthodox Christian stance on euthanasia, “futile care,” and matters related to these. His Eminence speaks to St. Paul’s words, “It is better to be home with the Lord.” He feels that since the woman’s (Terri Schiavo’s) soul could not communicate with her body, she naturally would have wanted to go home to be with the Lord. But this is only one aspect of the matter. There are videotapes extant which show Terri communicating, with her family. These were ignored by the decisionmakers, those who were legally responsible for her, who held her severely disabled life in their hands and ultimately chose to remove her feeding tubes. She then proceeded to dehydrate for thirteen days until she died. There were those who claimed that she was in a Persistant Vegetative State and did not feel the pain. But many who were more intimately familiar with the situation strongly disagree. It would be better to be home with the Lord; this is indeed true for all of us. But the way it transpired for Terri, Andrea Clark, Venlang Yo, (http://texasadvancedirectivesblog.blogspot.com/2006/05/law-did-not-work-thoughts-on-andrea.html ) and others in their position needs to be addressed. Metropolitan Iakovos of Chicago: “Human life is always precious and sacred. This is a fundamental tenet of the Orthodox Christian tradition. Each and every human being is created in the image of God the Creator, and can never cease to be loved by God. The highest measure of a quality of life is our personal relationship with God, and this relationship endures the best and worst conditions in which human beings may find themselves. It even endures physical death in this age, continuing in the age to come. Orthodox Christians are greatly saddened by the condition of Terri Schiavo, and must be saddened by the decision … to purposely end her life by the withdrawal of the basic care of feeding and hydration. 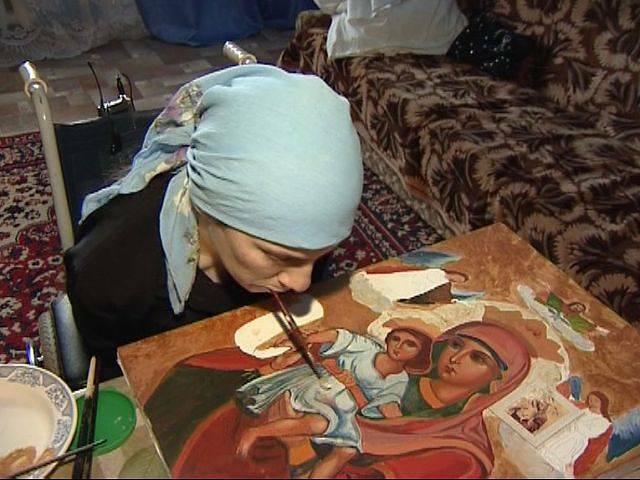 “As a gift, life is always to be respected, nurtured and defended by Orthodox Christians. It is not an abstract principle to be debated. We affirm that we are called to be wise stewards of this gift. This prohibits the conscious destruction of life at any stage in the human life cycle, and demands loving care at every stage, for ourselves and especially for the lives of others. “We acknowledge that there are times when artificial life support is more expressive of a fear of death than concern for loved ones in tragic circumstances. We affirm that in light of the body functioning only by artificial and mechanical means, when it is unable to sustain life on its own in any manner, the cessation of such means is often acceptable, since this is not actually causing death. We do not view feeding and hydration in such terms, for in the case of Terri Schiavo and others who are in similar conditions, death is not imminent as long as the body is nourished. These words, especially those by Metropolitan Iakovos of blessed memory, provide a foundation for an Orthodox Christian stance against the definition of “futile care” that is taking shape in American society. The next post will be commentary on euthanasia and related issues from Orthodox priests. Half of the stories are from Texas, and concern that state’s infamous futile care law. It is clear that these stories reveal developments that are a threat to people with disabilities; so-called experts are deciding which persons’ lives are worth living and which persons’ lives are not worth living! WHEREAS the taking of a human life, however understandable the motive, is a serious sin directly and repeatedly forbidden by God. Even where it seems an act of mercy, such as an attempt to alleviate suffering, without sincere repentance, it will surely lead to a loss of God’s Kingdom. As Christians we acknowledge that we do not always recognize God’s will and why things happen as they do in our world. However, we have, as the followers of Christ, promised to place our trust in Him and His love for us and all mankind. This trust includes the patient acceptance of those burdens which may seem, at the time, to be unbearable. In-depth Orthodox Christian resources, addressing the very heart of our goal in Christ, healing toward theosis: Jean-Claude Larchet’s The Theology of Illness and Healing Mental Illness. Larchet, in these books, discusses sin and its impact on our health, mental illness, the glorification of God through healing, and the “fool for Christ” phenomenon from a perspective derived from the Holy Fathers. Click on http://specialchildren.about.com/ and Special Needs Sites of the Day: Special Programs to access. There are tons of links which are informative and useful on this website. The site is not based in an Orthodox Christian perspective, but there is a lot here that is helpful which can be taken into consideration as important decisions are made in consultation with one’s spiritual father.